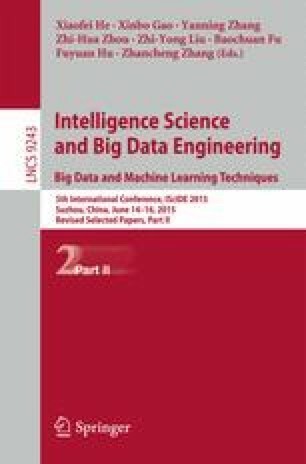 As a popular machine learning technique, semi-supervised learning can make full use of a large pool of unlabeled samples in addition to a small number of labeled ones to improve the performance of supervised learning. In co-training by committee, a semi-supervised learning algorithm, the class probability values predicted by committee may repeat, which brings a negative influence on the improvement of the classification performance. We propose a method to deal with this problem, which assign different class probability estimations for different unlabeled samples. Naïve Bayes is employed to help estimate the class probabilities of unlabeled samples. To prove that our method can reduce the introduction of noise, a data editing technique is employed to make a comparison with our method. Experimental results verify the effectiveness of our method and the data editing technique, and also indicate that our method is generally better than the data editing technique. This work was supported by the National Natural Science Foundation of China (No. 61173092, No. 61271302), the Program for New Century Excellent Talents in University (No.NCET-11-0692), the Program for New Scientific and Technological Star of Shaanxi Province (No. 2013KJXX-64), the Fund for Foreign Scholars in University Research and Teaching Programs (No. B07048), and the Program for Cheung Kong Scholars and Innovative Research Team in University(No. IRT1170).